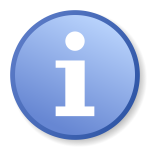 Access has been restored to all of the databases mentioned in the previous service alert. Please let us know at music@libraries.cul.columbia.edu if you encounter any problems. This entry was posted in Databases, Jazz, Service Alerts and tagged Databases, Jazz, Service Alerts on April 24, 2009 by Nick Patterson. Contact the Music & Arts Library staff at music@libraries.cul.columbia.edu if you have questions or want help in locating jazz content and resources. This entry was posted in Databases, Jazz, Service Alerts and tagged Databases, Jazz, Service Alerts on April 23, 2009 by Nick Patterson. 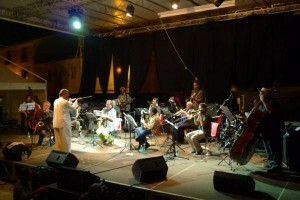 There is currently a problem with access to the Naxos Jazz database. It’s been reported to library systems staff, and we hope for a quick resolution. We’ll post when access has been restored. In the mean time, please don’t hesitate to contact us, if we may be able to help you locate jazz content in our CD collection. You can email us at music@libraries.cul.columbia.edu, or call us at 212-854-8523. This entry was posted in Databases, Jazz, Service Alerts and tagged Databases, Jazz, Service Alerts on April 22, 2009 by Nick Patterson. The Jazz Discography (Tom Lord) is now available through the Libraries. It is “… the most up-to-date general discography of all categories of recorded jazz, from 1896 to today”. This resource allows much more flexible searching than was possible using the earlier print and CD-ROM versions. Searches are available for leader, session, musician, tune, and record label, as well as a “multi-search” function which allows searches of multiple musicians and/or tunes. A good introduction to using the database is found by clicking on the “Help” tab on the upper right of the screen. The Jazz Discography can be found under the “Databases” tab of the main Library Web search page. Access is available on campus, or off-campus to Columbia affiliates via your standard UNI/password login. This entry was posted in Databases, Discographies, E-Resources, Jazz and tagged Databases, Discographies, E-Resources, Jazz on February 25, 2009 by Nick Patterson.